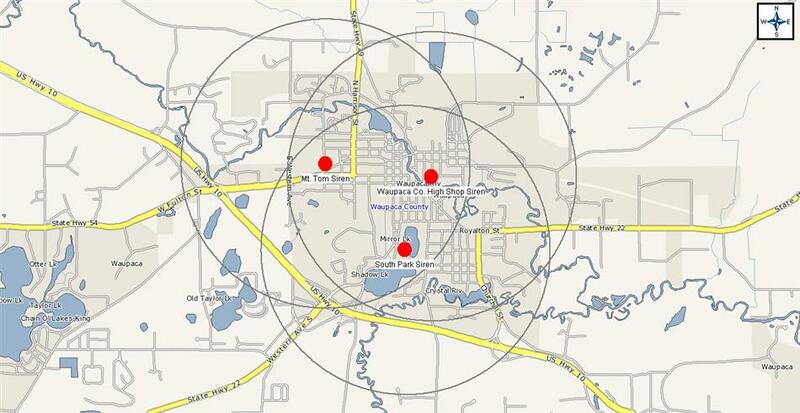 There are 3 “OUTDOOR WARNING SIRENS” located throughout the City of Waupaca. The Outdoor will be activated when a tornado warning or a chemical emergency occurs. They can also be activated for other emergencies. Why are they called outdoor warning sirens? The sirens are called outdoor warning sirens because their primary purpose is to alert people who are outside to severe weather, chemical, or other emergencies. The system is not designed to provide notification inside of your home or business. What should I do if I hear an outdoor warning siren? When should I expect to hear an outdoor warning siren? 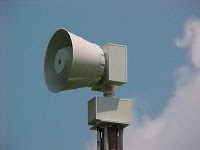 The outdoor warning sirens are tested on Wednesdays at 1:00 p.m. to ensure they are working properly. The sirens produce a loud wail sound.